I'm not one of those people who purposely goes on a shopping trip to buy "holiday clothes". 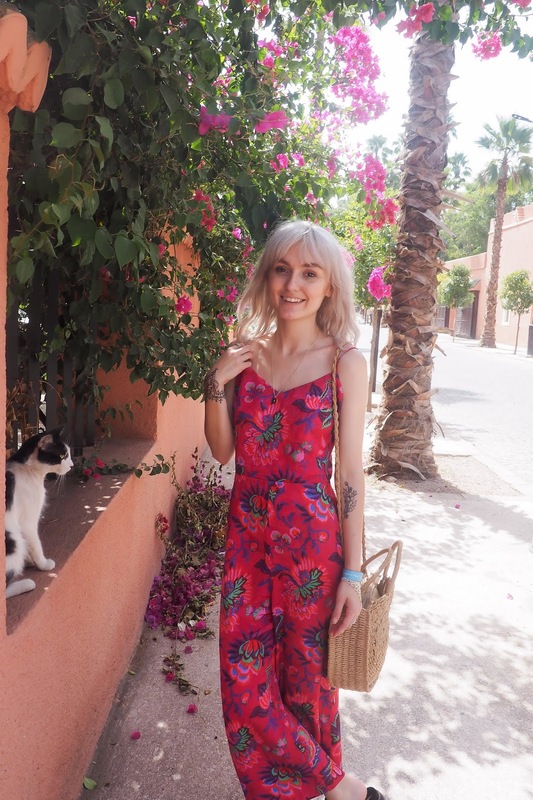 I used to be until I found that I was buying bits and pieces that I didn't even really like and had absolutely zero intention of ever wearing again, just for the sake of buying new clothes for a trip away. Of course, it's lovely to get new clothes especially for a trip but in recent years I've become more of a smart shopper, looking purposely for pieces I know that I'll love and wear for the rest of the year or even going a few years back into my wardrobe to look for outfits I can wear again, without having to spend a penny. That's exactly what I did for my recent trip to Marrakech (which was amazing - watch out for a blog post on that coming very soon!). 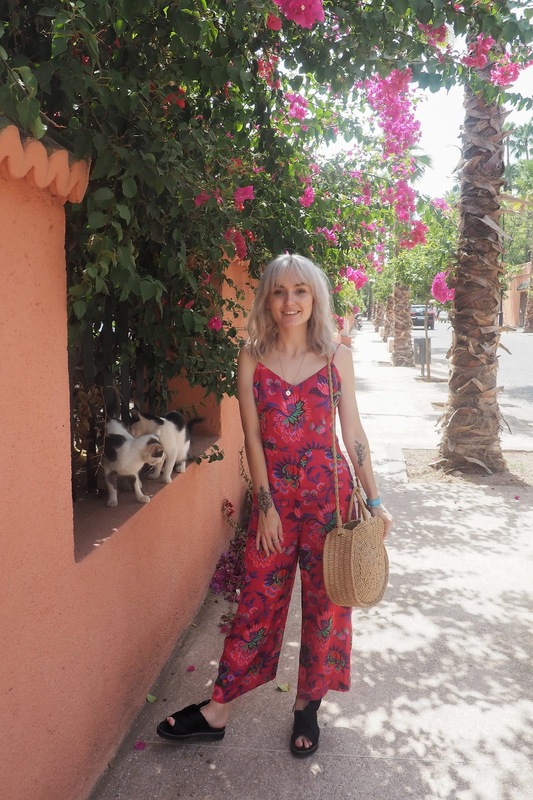 As I was going away late in the season (September to be precise) and I knew it was going to be a bloody scorcher in Marrakech, I needed (a) clothes that were going to keep me cool and be holiday appropriate and (b) not to spend a fortune on clothes that I'm not going to wear ever again. 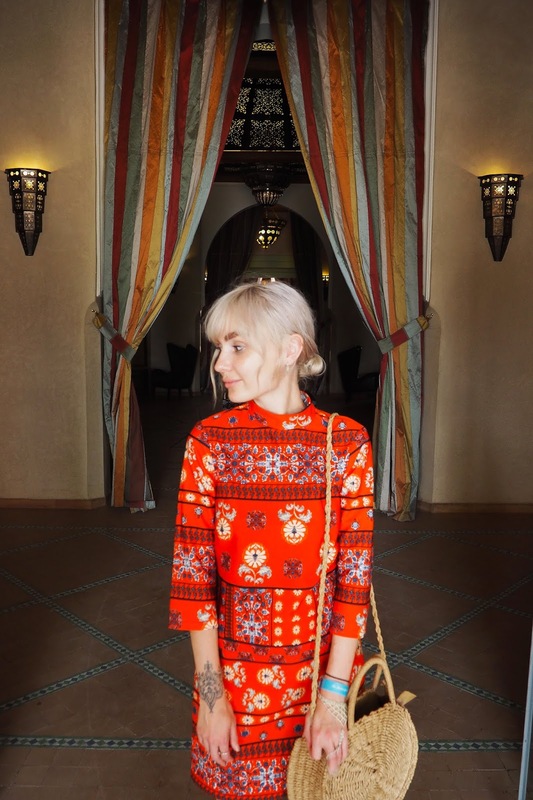 I figured out three absolute failsafe holiday outfits that are not only cute and comfortable for a trip, but that can also be recycled, no matter what time of year you're going away. 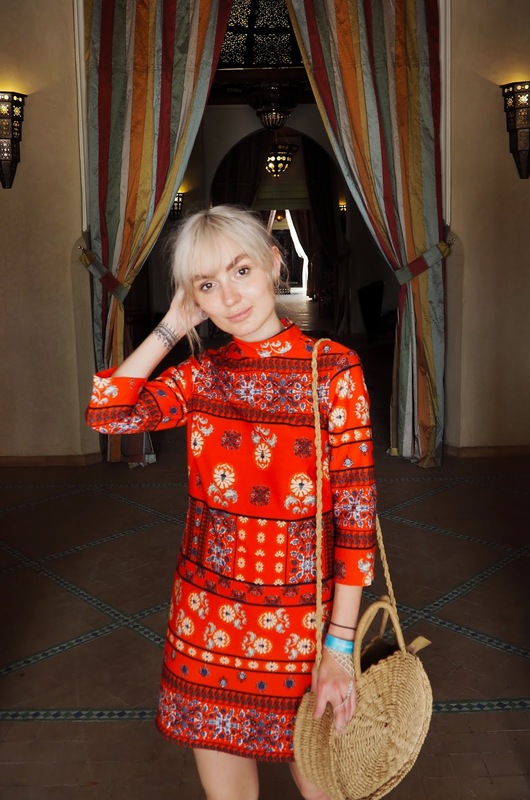 So this little beauty of a dress is one of the ones I pulled from the depths of my wardrobe and I'm so glad it got to see the light of day again. I originally bought this from ASOS back in 2016 when I went to Y Not Festival - I think teamed with chunky boots and a hoodie it's the perfect festival dress. Anyway, for my trip to Marrakech, it was ideal. Not only is it a bright and cheerful dress (you know one of those pieces that just makes you feel happy?) but it's great for covering up slightly and keeping cool on the roasting days. I teamed it with a woven bag and a pair of Kurt Geiger sliders to complete the look and I think this was one of my favourite things I wore on the trip. Now, I know that I'll rewear this next summer for sure but this is one of those pieces I think is gorgeous to take you through Autumn too. Imagine it with a clashing biker jacket and a pair of strappy sandals for a night out in October! The sleeves and high neck mean that it's fab for the transitional period between seasons too and I know this will definitely be making a reappearance in my day to day outfits. Also, a lot of these type of dresses are in the sales now so it's a bloody great time to get spending! The ultimate classic. The total failsafe. The outfit that everyone on this land can pull from their wardrobe. It's the beloved denim and band tee combo that has seen me through many, many, many phases of my existence and I still haven't had enough of it. If in doubt of what to wear? Band tee. Lazing around the house? Band tee. 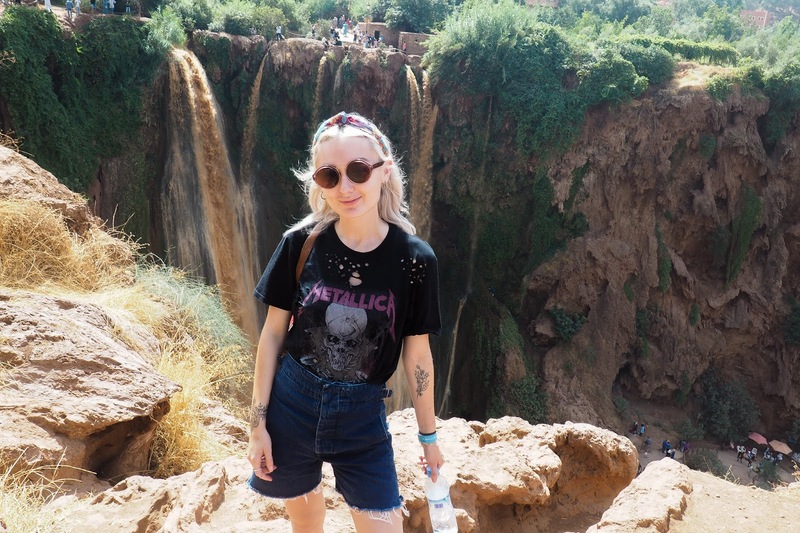 Climbing down a mountain to the bottom of the tallest waterfall in Africa? Band tee. Again, this entire outfit is one that I pulled from my wardrobe and I didn't have to buy anything new to go with it. 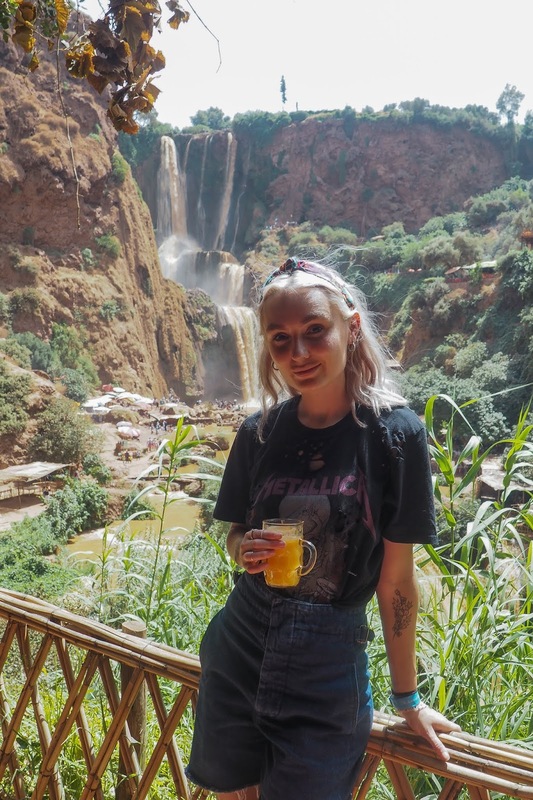 The Metallica tee is an old one from Topshop that has definitely been worn more times than is socially acceptable in modern times but hey, when you love something you love something right?! The shorts are again old from ASOS and come out every year when it comes round to Spring and Summer. I love the fit of these as they're high-waisted with deep pockets and as they come down to just above the knee, they're a nice, casual alternative to the usual hot pants that are in the "holiday" section on retailers websites. The band tee is obviously something that you can wear throughout the entire year. I always wear this particular one tucked into mom jeans with some causal trainers or underneath a pair of dungarees with sliders. Tees like this are an absolute wardrobe essential for me and you can wear it with so many different pieces, the possibilities are endless. As for the accessories, the sunglasses are Jimmy Fairly and the headband is Stradivarius. Finally we have the statement jumpsuit, again a little number that I already had in my wardrobe. I bought this from Topshop earlier in the year so it is a little newer than my previous two outfits but I think this may be the best one for recycling throughout the year. 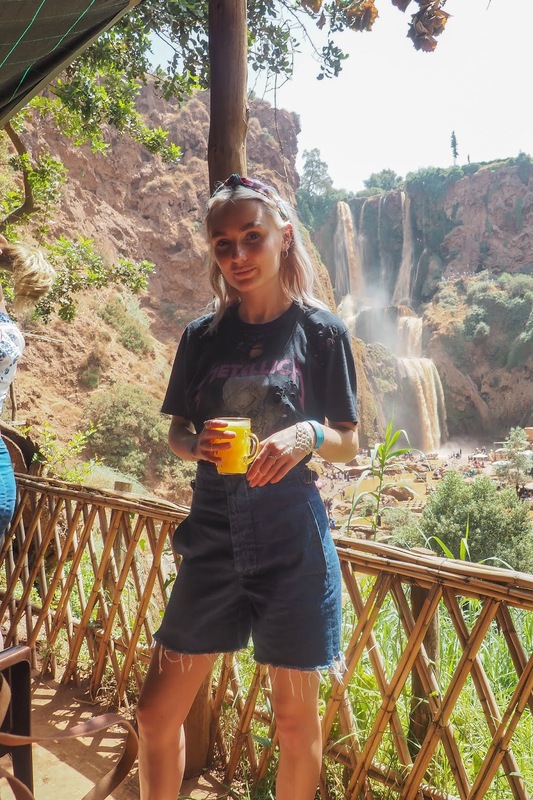 I wore this on the day that we explored the Yves Saint Laurent Museum in Marrakech city, paired with the same black sliders and woven bag from the other days. I find if you back accessories that can be switched between outfits, that won't tear your feet apart and that are adaptable, you're pretty much sorted and won't need to overpack, which is what I did with the bag and the shoes here. As for the jumpsuit, well, it pretty much speaks for itself doesn't it? The wide legs, the bright fuchsia colour palette and the unique pattern makes it a simply beautiful outfit that really doesn't need much else. As for wearing this for the rest of the year, I think this has got to be a wedding guest outfit doesn't it? However, although it definitely could be made super formal, you could also wear a plain white tee underneath it to dress it down, something which I'm a huge fan of doing in the winter months. Or, you could even wear a slouchy jumper over the top with a pair of boots and you've got a super cosy outfit for the colder months (although jumpers and jumpsuits are not a good combination for weeing are they?!). 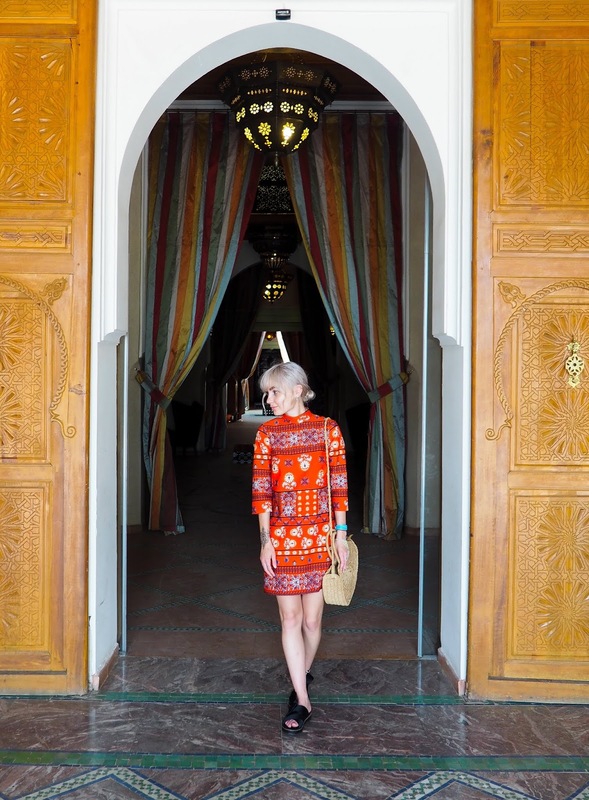 So that's what I wore in Marrakech and what I'll continue wearing throughout the rest of the year! Do you always buy new clothes for holiday or do you recycle? What are your tips for making the most out of your holiday wardrobe?